If sleep is difficult for you, you’ve probably tried almost everything to get a good night’s rest. When sleeping pills lose their effectiveness and counting sheep isn’t calming your mind to a restful slumber, you need extra support. Thankfully, in 2017, technology is on your side. Today, there are many sleep apps available that can track your sleep cycle. These apps can provide soothing music and wake you at your lightest stage of sleep. Sleep apps have intelligent features that are intended to give you to a better night’s rest. Apps like Sleep Cycle and Sleep Time+ use the accelerometer on your phone or tablet to monitor your body’s movement during sleep. These apps are designed to track your body’s sleep rhythm and decipher when you are in light sleep or deep REM sleep. They also provide white noise to drown out restless thoughts and external noise. Do you ever feel sluggish after an alarm wakes you when you’re in the middle of a dream? This is because traditional alarms can’t take account for the typical 90-minute human sleep cycle, waking you up regardless of the depth of your sleep. On the other hand, apps that track your sleep cycle can gently wake you within a desired time frame. For example, if you need to be out of bed by 7:00 am, set your app to wake you at the lightest sleep cycle between 6:30 am and 7:00 am. When you wake up during the lightest part of your sleep cycle, you’ll get the feeling of waking up more naturally, which helps you feel more rested. This means that you’ll feel better when you wake up during a light phase at 6:33 am compared to if you were jolted awake during deeper sleep at 7:00 am. Many of these apps can track sleep quality by figuring how much good REM sleep you get per night. If you find that your midnight bedtime continues to result in poor sleep quality results, you should experiment with an earlier bedtime. You may be surprised to see how much sleep you actually need to function well. The typical human goes through five 90-minute sleep cycles per night, averaging 7.5 required hours of sleep. Your sleep app can reveal to you quickly what rhythm your body prefers. Some people need more sleep and some need less, but gathering information on what bedtime prompts the best sleep performance for you can help you figure out your ideal bedtime. How Do You Get the Best Quality Sleep? Apps may be helpful, but if you’re not sleeping on a great mattress, you’re not likely to get comfortable enough to rest. 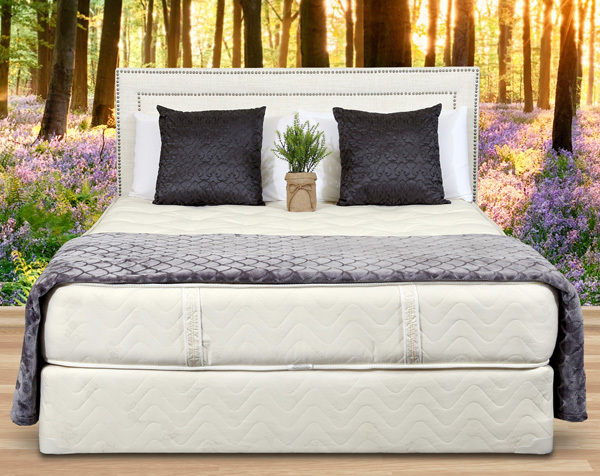 Maximize your chances of sleep success by upgrading your mattress to a luxurious American-made one. Gardner Mattress has been in the business since 1933 making handcrafted traditional and organic mattresses for generations of happy sleepers. Contact us today to learn more about how a quality mattress can help you get the best sleep of your life. Previous article	Are Your Back Problems Being Caused by a Bad Mattress?